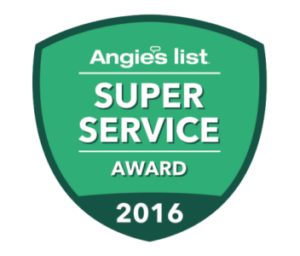 Builders Fence Company has earned the home service industry’s coveted Angie’s List Super Service Award for the 4th straight year, reflecting an exemplary year of customer service to members of the local services marketplace and consumer review site in 2016. “This is truly an honor and a terrific testament to our team. Winning the coveted Super Service Award is a great feeling and I couldn’t be prouder of our team” says Dave Swisher, President of Builders Fence Company.